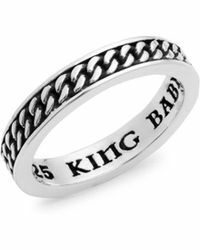 Launched in 2000, King Baby Studio was founded by jeweler Mitchell Binder. 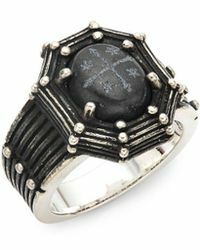 Coining its name from a Freudian term, the unique label produces covetable jewellery. 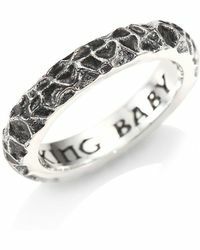 Inspired by free spirit and great musicians of the 70s, King Baby Studio products exude a rock and roll attitude. 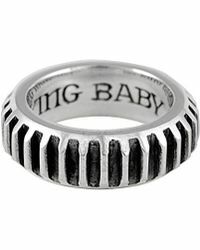 Adorn yourself with men's King Baby Studio rings. 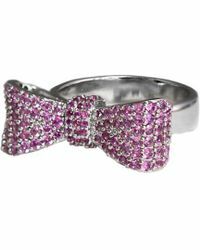 With stunning designs, these rings make a statement. 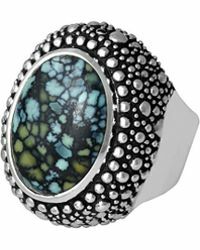 Crafted with premium metals, including sterling silver, the rings boasts quality and style. 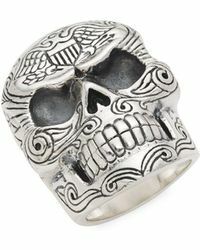 Choose from pieces with skull motifs and engraved texts.